Waterways in the US, are quietly being commandeered by oil companies. In New York, Shell used sneaky tactics like making a one million dollar donation to the corrupt ACORN group to fast track a 1.48 square mile, Yankee Stadium size imported gas facility, right smack in the middle of Long Island Sound. They say Shell Broadwater is a good idea but the Wall Street Journal says they're wrong. They say Shell Broadwater will create jobs but the average LNG terminal employs only twenty people. They say it will save homeowners money, but it wont. They say Shell Broadwater is safe but LNG tankers have all sorts of problems. Fact is, there's only one reason why Shell and TransCanada want to build this thing: they want a $2.5 billion corner of the New York and Connecticut energy market. The Federal Energy Regulatory Commission (FERC) is five unelected appointees in Washington DC using eminent domain tactics to secure sites for gas terminals like Shell Broadwater. This is happening in opposition to the views, the wishes and the interests of communities from New York to Oregon. Oil companies have achieved this incrementally, one small approval at a time. Click to read the report . Sep 2009: Shell and Transcanada gave $1 Million to corrupt ACORN group. Feb 2009: Wall Street Journal says industry experts "couldn't have been more wrong". Shell lawyers negotiating with unelected federal regulators to overturn Governor Paterson's decision. Governor David A. Paterson and Secretary of State Lorraine Cortés-Vázquez make the right call and stand up to Shell. Read the Facts vs. Fiction about the Shell Broadwater project. Bloomberg makes a really bad call. Downfall of Shell Broadwater-supporter Eliot Spitzer casts uncertainty over Shell Broadwater approval, decision in the hands of Gov. Paterson and federal officials. Oil friendly federal agency releases final statement and overrides local and state opposition. Shell and TransCanada team up with corrupt ACORN group and pay $1 million a year to buy friends and community support. 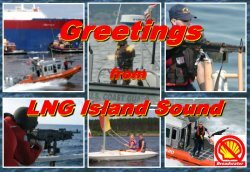 Do you want Shell, TransCanada and unelected federal officials telling New York and Connecticut residents what to do with Long Island Sound? It is important that action be taken now to address the assault on state and local authority. Click here see what you can do. Shell and TransCanada are committed to some things but an open door, front room review of Shell Broadwater isn't one of them. In fact the word Shell doesn't even appear on the Shell Broadwater home page! Please share any questions or concerns about the Shell Broadwater project here. Do you think Shell wants your energy costs to go down?